It was only last week that I was telling my children how they’d missed out on the joy of exploring CD inserts to find detailed information on tracks and random artwork. Speaking of his creation, album cover artist Jimmy Turrell said that Beck commissioned both him and Steve Stacey to create the entire visual representation of his latest album. Packed full of bold colour, Turrell says he and Stacey looked back to their youth for inspiration, considering what stimulated them visually as kids. The Deluxe Vinyl edition allows fans to remove and change pieces to create their own bespoke cover. My favourite from 2017? 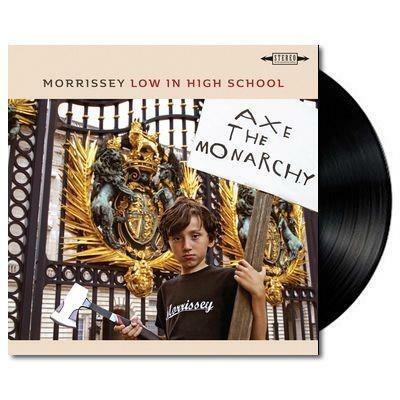 Morrissey’s Low in High School, which I’ve used as the featured image for this post. Previous Moving down Maslow’s hierarchy of needs using OER?